VITA has teamed up with IHS Markit to co-sponsor the 2016 IHS Markit Embedded Computer Boards, Modules and Systems market survey. VITA members may access the complete report under "Members Only/Market Data". The following information is from the 2016 report. 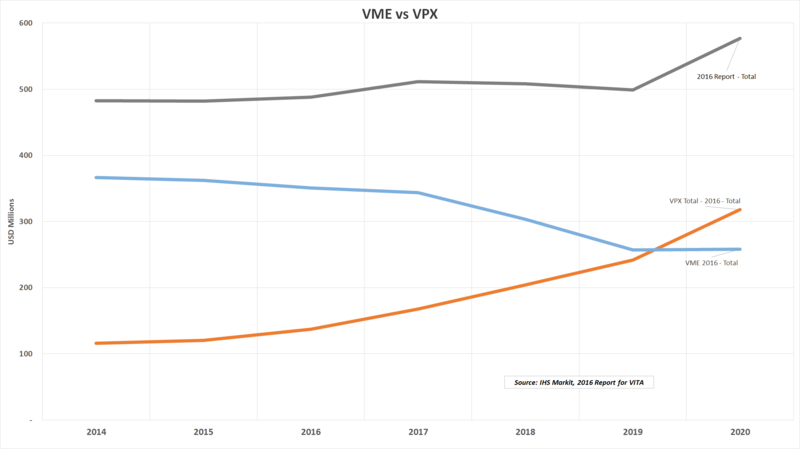 The VME vs VPX chart represents the total VME and VPX market size. 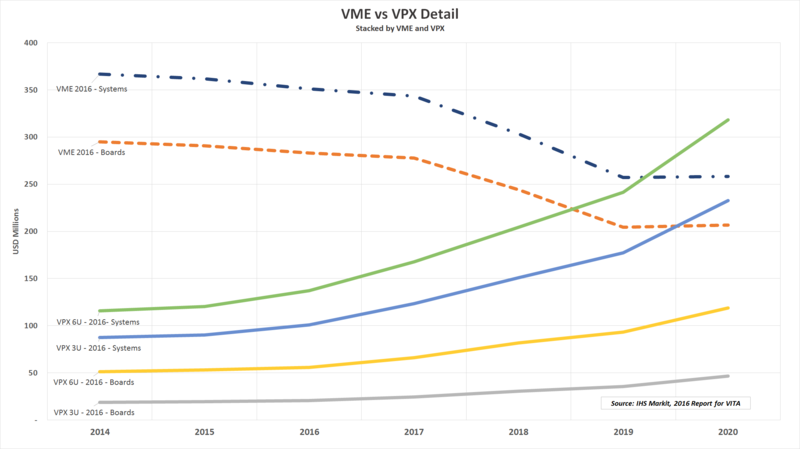 The numbers for VME and VPX include single board computers and systems for each. VME vs VPX Detail illustrates how VPX has a much higher percentage of system level content. VPX platforms are typically sold as a complete system level solution. System level VPX solutions are already outselling system level VME solutions.